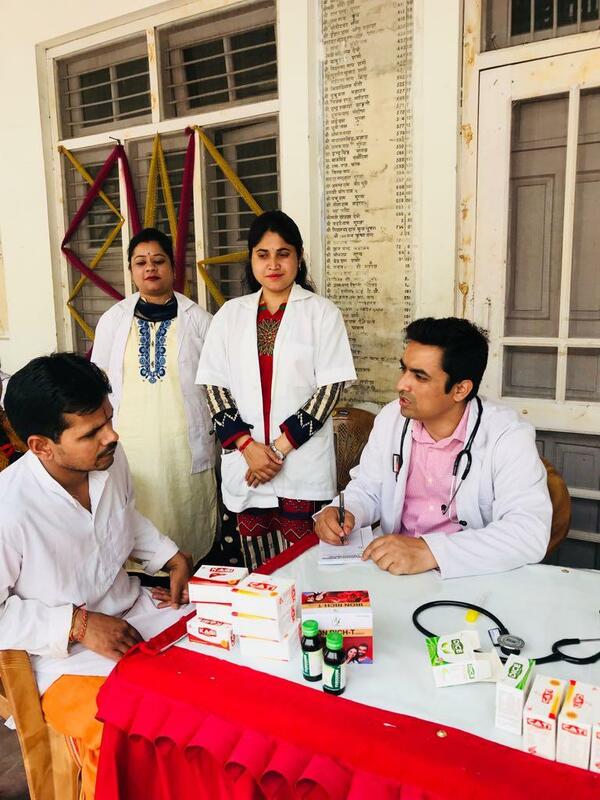 Jammu, Apr 03: In continuation to the series of free Medical & Surgical checkup camps, a check up camp for the needy and deserving section of society was organised by Jammu Institute of Ayurveda & Research ,Nardani Jammu Shri Laxminarayan Temple, Gandhi Nagar, Jammu. Camp was inaugurated by Sh SC Rekhi , Sectary, & Pandit Ashwani Kumar Shastri ji of Laxminarayan, temple, Gandhinagar, Jammu. The objective of the camp was to provide information regarding diet, exercise & weight control. 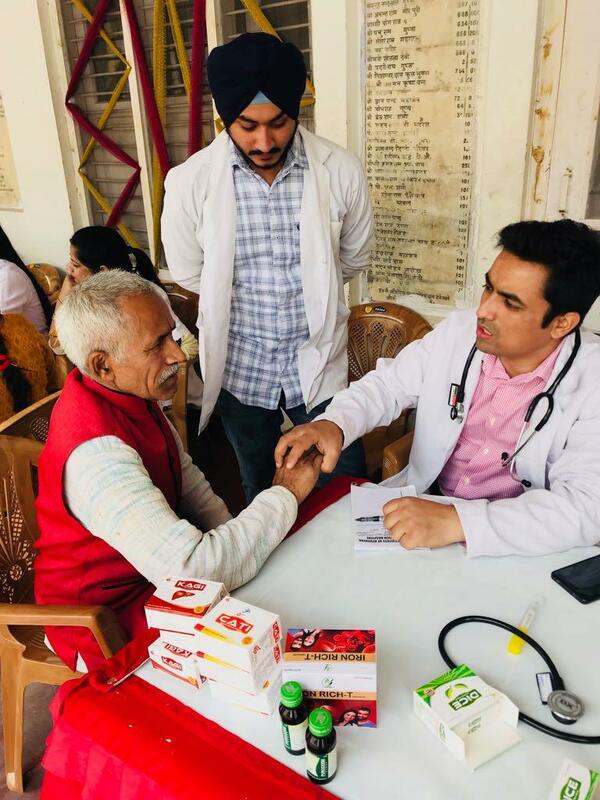 Free medicines have been provided to subjects who were diagnosed with Piles, Fissure, Fistula, HTN, obesity, OA & advises them to follow up in Shri Sai charitable hospital , Pamposh colony , Janipur. 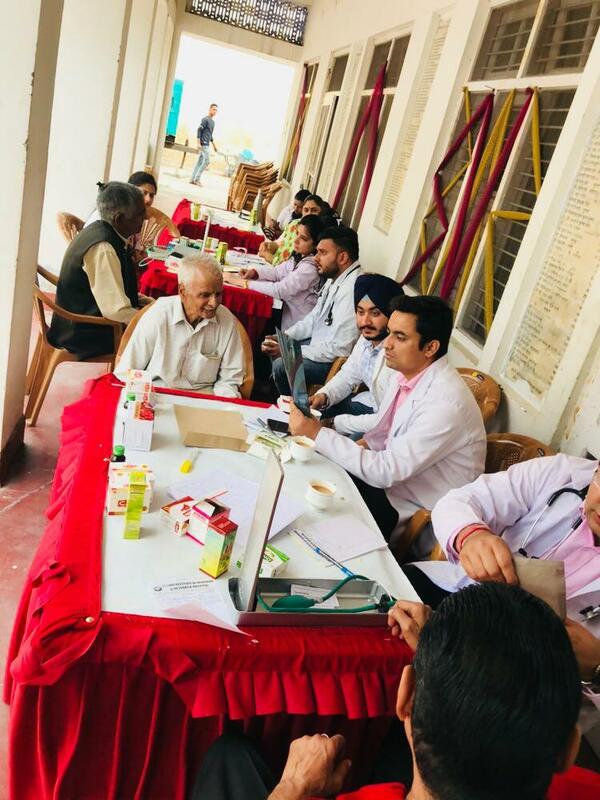 Altogether 128 people got free checkup and got expert opinion on their health from consultants-Dr.Sudesh (Associate Professor), Dr Pooja Gupta( Assistant Professor), Dr.Sukrant Sharma (Assistant Professor ) ,Dr.Akanksha Mahajan (SMO),P.G Scholars (Dr.Bhawana, Dr Madhubala, Dr Arjun, Dr Neeru, Vidushi, Dr Manpreet) ,Department of P.G studies in Shalyatantra(surgery)and Internees- Dr Avtar, Dr Chavi, Dr Nidhi & Dr Shakul examined patients and were given free medicines and advised for various Panchakarma procedures ,kshara karma and kshara sutra. Public awareness campaign was also run & people were advised to take plenty of fluids &green leafy vegetables. The timing of the camp was declared to be from 10:00 am to 3:00pm but due to large crowd present the camp ran on until 4:30pm, making sure that each and every patient was given a proper checkup. Furthermore, department of P.G studies in Shalya tantra is agreed to conduct this type of camp every month in this temple so that proper follow up can be done to these patients & asked to visit hospital in case of any emergency. The department of Post graduation in Shalyatantra is doing many research projects like kshara sutra ,ksharakarma ,agnikarma,jaulakavcharan(leech therapy) in various ano-rectal diseases so that surgery can be avoided. After conducting these procedures patient can resume his/her duties after few hours and can prevent themeselves from various complications of surgeries. Dept.of P.G studies in Shayla tantra thanks to JIAR management Mrs.Suman Sharma (Chairperson), Mr.Ritesh Sharma (MD),Er.Ravish Sharma(MD),Dr.Raghuvir Singh (Principal),Dr.Nitin Mahajan(Vice-Principal) for providing facilities to organise this free camp and to serve the alling humanity.